Fill out our simple form and get quotes from local party bands. If you’re looking for party entertainment to please everyone, party bands are a great call. Playing a range of hits and offering entertainment for all generations, a party band will ensure everyone steps foot on the dance floor at least once. Find bands for hire here. Specialising on 30th, 40th, 50th and 60th birthdays White Light can perform a wide range of covers to suit all ages. But who needs a big birthday as an excuse to party? Entertainment to the max. Finding bands for hire when you’re planning your event can be tricky if you’re not sure where to start. 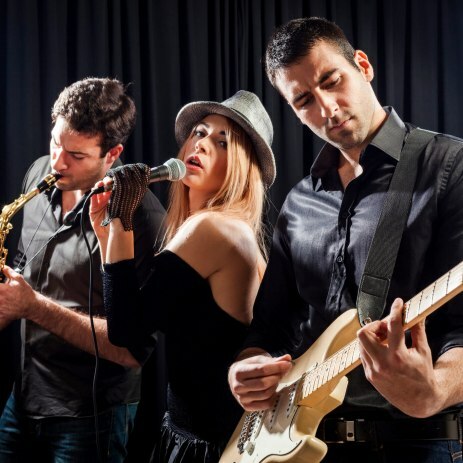 However, if you choose to have a party band play at your event you’ve already covered many of the bases. Party bands will normally play a mixture of current hits and all time favourites as well as taking requests. By using Add to Event to plan your party, wedding or celebration selecting bands for hire is easy. Take a look at their profiles here and read reviews from past customers. All you need to do is enter your location and submit a free quote request form to hear back from party bands in your area.